Yesterday evening, my boyfriend and I were going to get some food and we drove past the Brass Armadillo, which is a huge antique mall, and he said we should stop and take a look! I was so excited, because I've always loved antiquing, but it's hard to get others to wonder around an antique shop for several hours. He recently got into collecting comics, which has been really fun so far. So he looked for cool comic books, while I shopped the cookbooks and kitchen stuff. It was so fun and different thing to do for a date night. 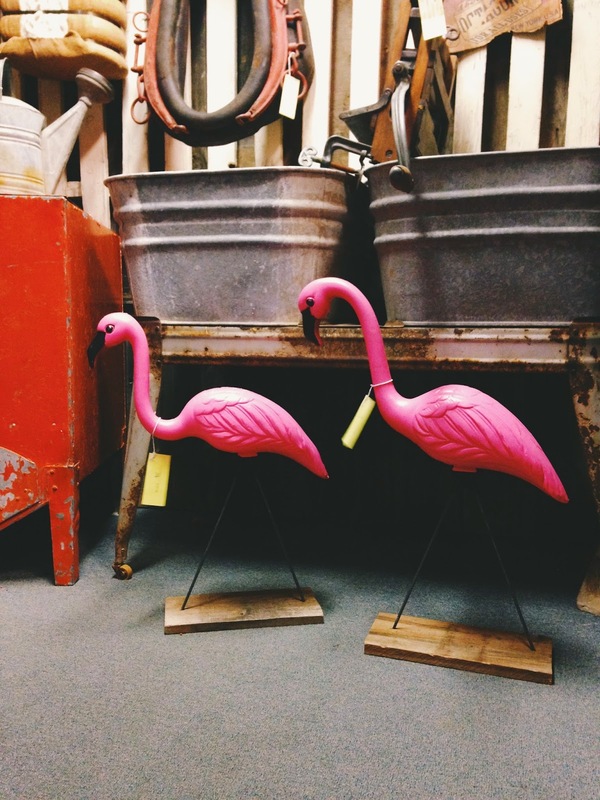 If you're looking for something different to do with your friends or for a date night, I recommend finding a thrift store or antique shop and wonder around. There is always interesting things to look at or stories to tell as you find things. I can't wait to check out more antique shops and try going to yard sales with Grant. If you're in the Phoenix area, or somewhere else in the world, where do you like to find old treasures? I know there a tons of places out there, but is there one you always have good luck at? Let me know! Previous Post 2014, where did you go?